← My Morning Skin Care Rountine! My Evening Skin Care Routine! Hello beautiful people & happy Wednesday! We’re half way to the weekend! Since my last post was my morning skin care routine, I figured it was only right to do my evening skin care routine as today’s post! I like to start by taking off my make-up (if I was wearing any that day) because there’s nothing worse than trying to properly cleanse your skin with a full face of make up on. 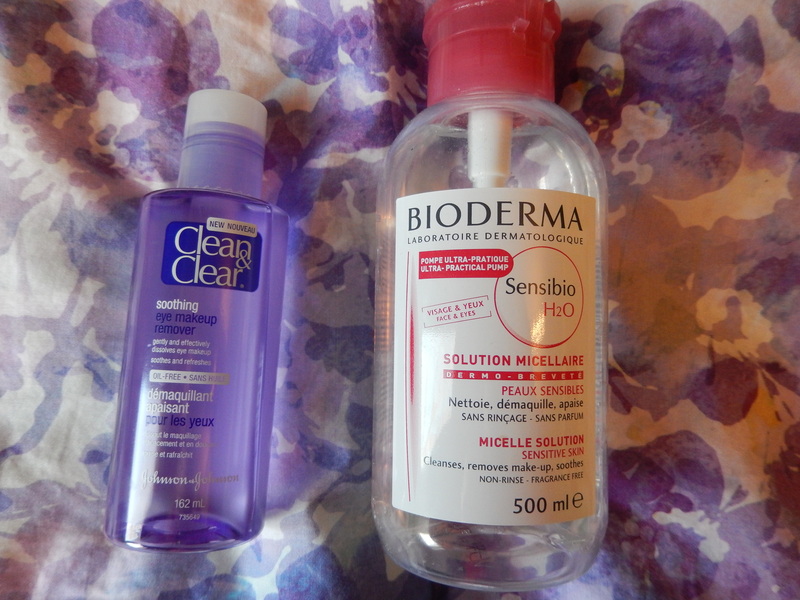 I use bioderma cleansing water ($33) to take off my face make up, I find this super effective and gentle on the skin. It doesn’t strip away any moisture, and doesn’t cause any break outs which is always a bonus! I use this Clean and Clear Eye Make-up Remover ($6.99), because I find it’s more effective at removing any and all make up from my eyes, including waterproof mascara! 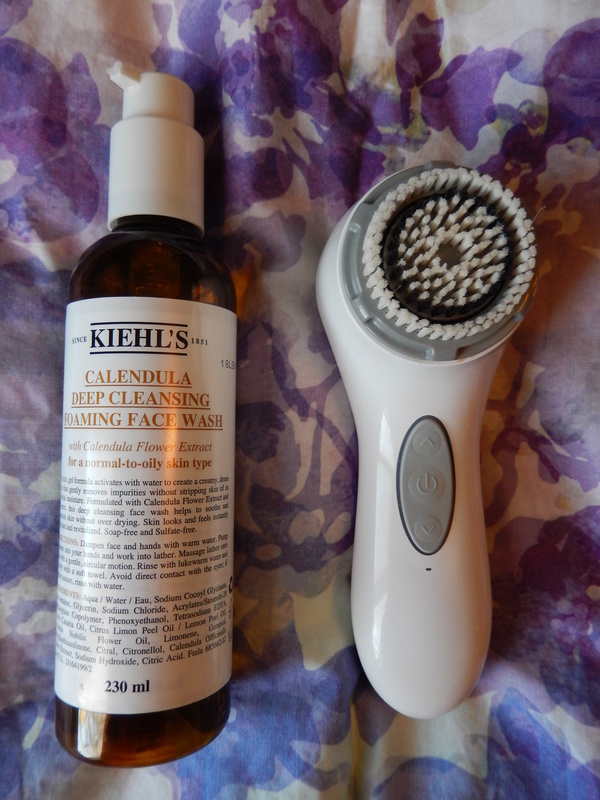 After I’ve taken all the make up off the surface of my skin, I like to use my Kiehl’s Calendula cleanser ($35) and my clarisonic Aria ($230). Using these together deep cleans my skin and leaves it feeling soft and supple! Some night’s I’ll use an exfoliator, like Kate Somerville Exfolikate or Origins Modern Friction, but that’s only a couple of times a week when I really want to give my skin a nice treatment. Once I’ve cleansed, I use my Kiehl’s Midnight Recovery Concentrate ($50), which is a blend of essential oils meant to hydrate, heal and protect your skin. This serum smells amazing, like lavender and vanilla, and even though it’s an oil, you’re skin doesn’t feel greasy at all. Since I’ve been using this, I’ve really noticed an improvement in the tone and texture of my skin! 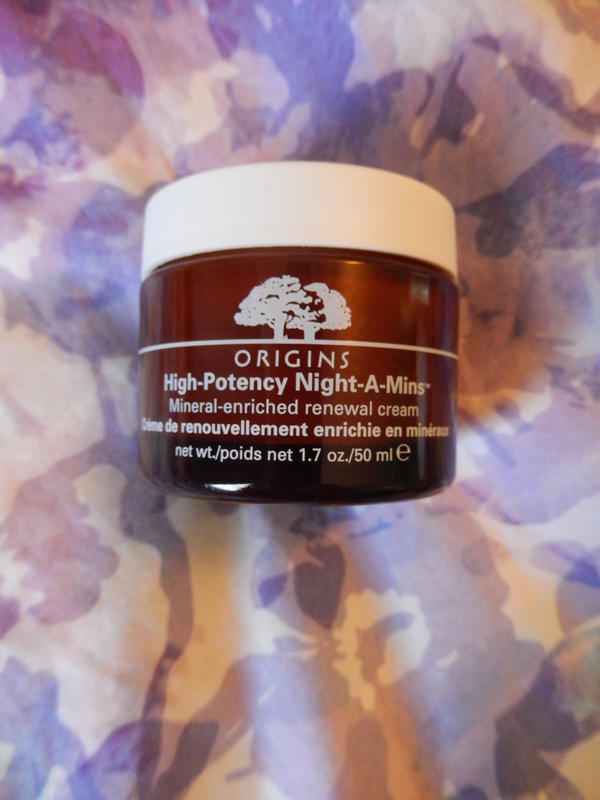 I usually let that sink in for a couple of minutes, I’ll go and brush my teeth, and then I’ll come back and put my night cream on, and I bet you guys can guess, I use the Origins High Potency Night-A-Mins ($51)! Surprise surprise, more Origins! I’ve been using this for a little over a year now, and I love it so much! It’s quite a thick cream, which absorbs into your skin while you sleep, and you wake up with the softest, smoothest, prettiest skin! It also smells like oranges, which is absolutely lovely. 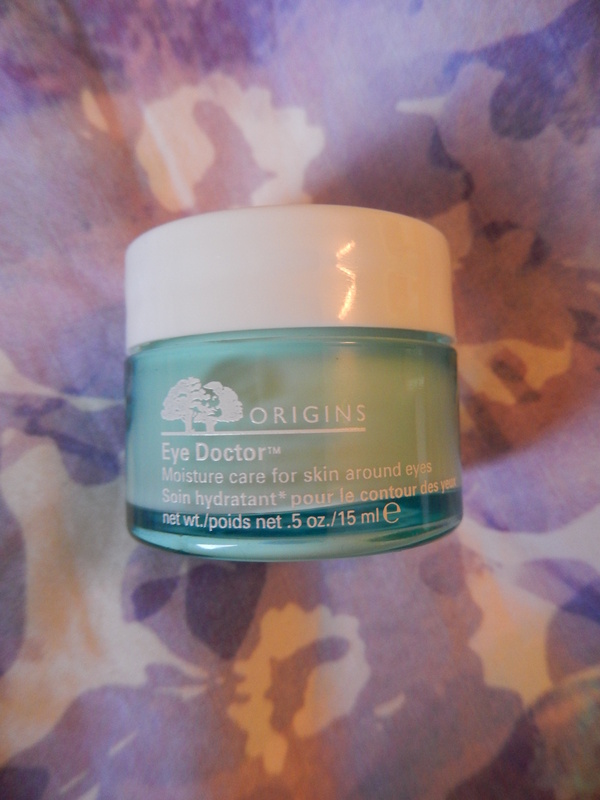 Last but not least, I throw on the Origins Eye Doctor eye cream ($40.50), which smells like cucumbers and hydrates the under eye area like a dream. I find in the colder months my eyes water, and then the skin gets really dry and sometimes even cracks, but when I started using this eye cream, that went away completely! Also, I feel like this pot will last me a long time because it has a light consistency, so a little goes a long way. There you go! My evening skin care routine! Let me know in the comments if you’ve used any of these products, or if you have any other recommendations! Don’t forget to follow me on Instagram and twitter to get updated about new posts! I keep hearing good things about Bioderma. It’s so lovely! Removes all the make up from your skin, but it’s super gentle! 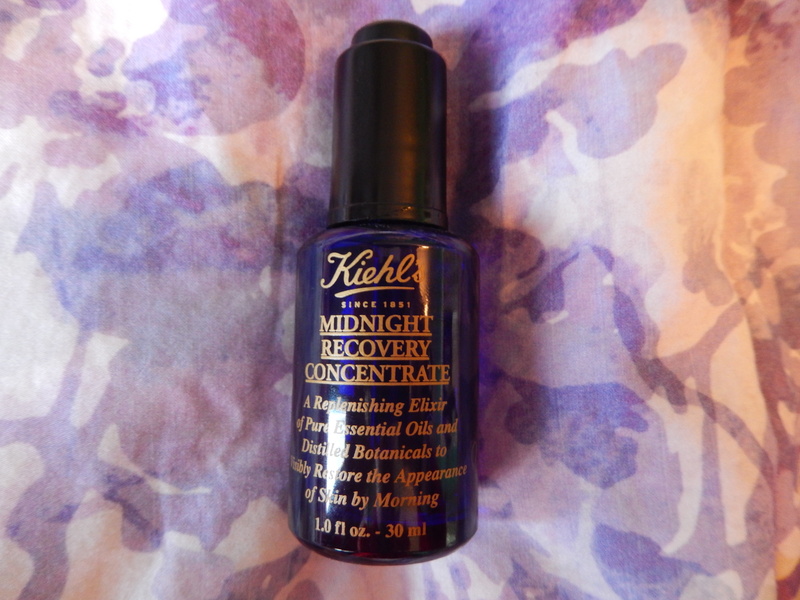 I want to try the kiehls midnight recovery! I’ve heard so many good things esp from my favorite YouTuber, Essiebutton. Essie button is one of my favourites too! I would definitely recommend it, it’s truly amazing!